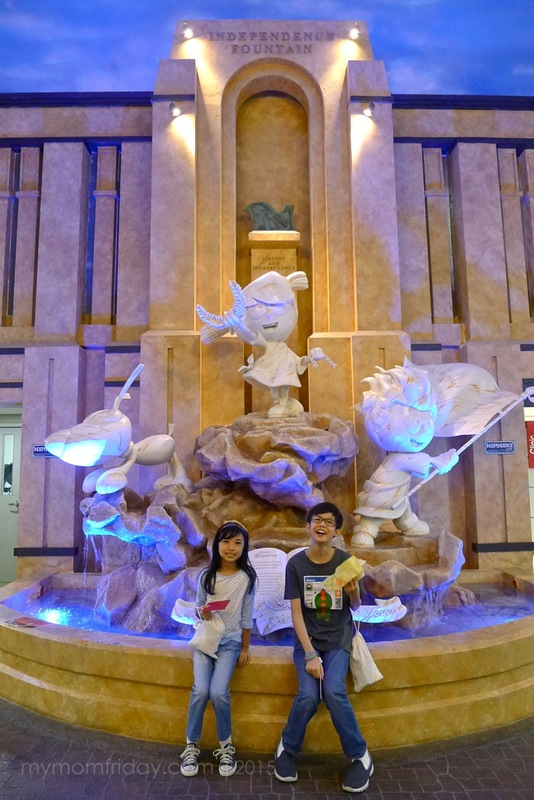 It was a fun family affair for us at KidZania last September 19. 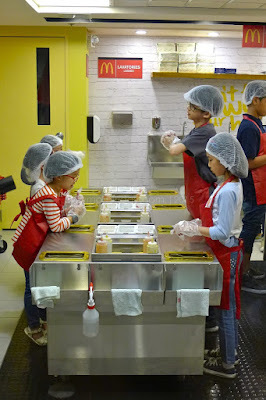 The kids were so excited to be invited by McDonald's to be among the first to "work" at the kid-sized kitchen of the newly opened McDonald's Burger Shop. When my boy and I went to KidZania during the pre opening, he peeked through the burger shop which was not open yet. He told me he wants to try it out the next time he visits. Well, he got his wish! 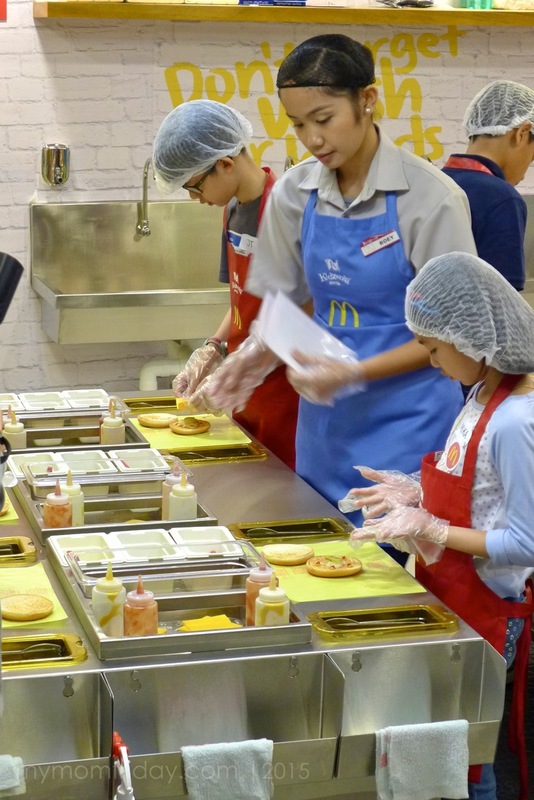 Kids can now enjoy and learn how to make their favorite McDonald's cheeseburger at KidZania! McDonald’s President and CEO Kenneth Yang, Alonzo Muhlach, Play Innovations Industry Partner Director Cecille Mariño, and Play Innovations President and CEO Maricel Pangilinan-Arenas formally open McDonald’s Burger Shop with a ribbon-cutting ceremony. 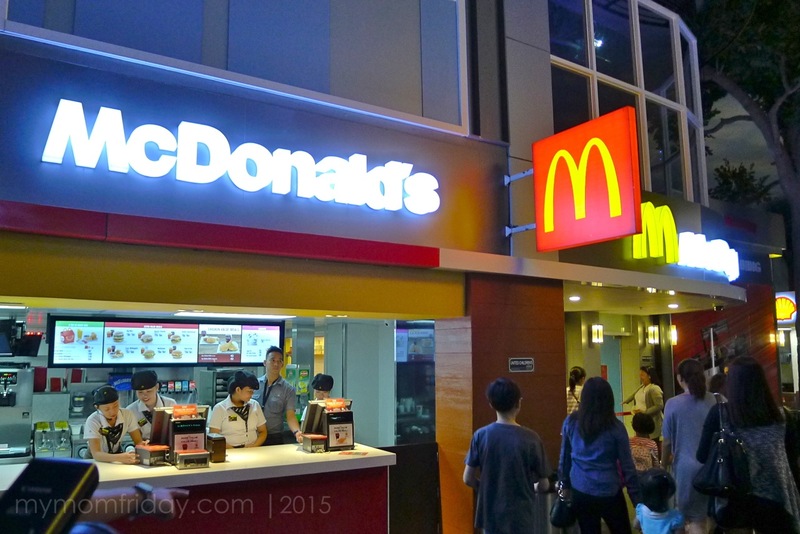 If you've been to KidZania already, you may have seen or dined at the McDonald's food outlet there where. Now, they opened the kiddie kitchen beside the outlet and opened it's doors for the kids to experience food assembly, specifically the steps in preparing the iconic Cheeseburger. 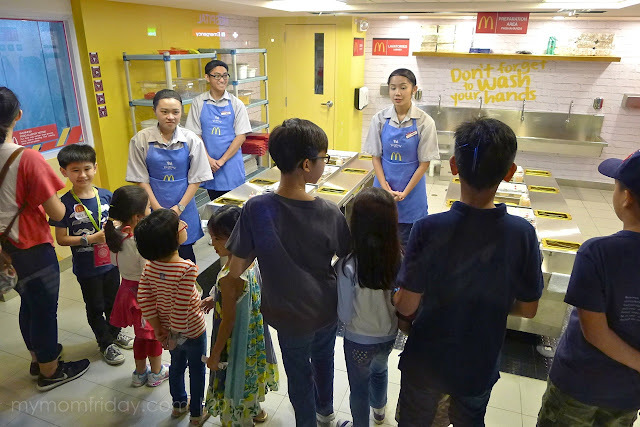 First, kids lined up and waited to be ushered in the burger shop. The task will require them to pay 15 kidZos. 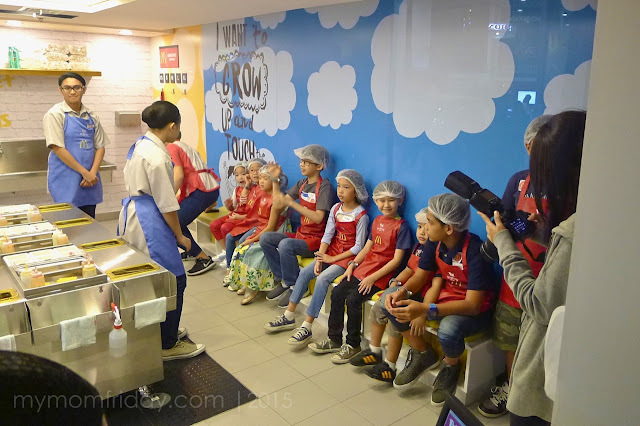 If they have a KidZania Passport, they will get a discount and will only pay 13 kidZos. 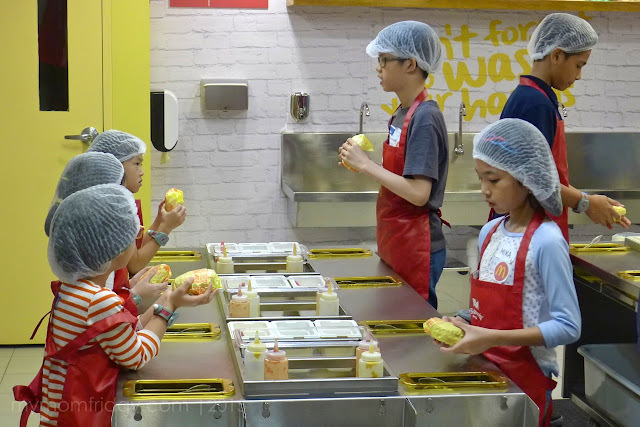 “Making a McDonald’s Cheeseburger is an exciting activity in itself, but the real treat for kids and their parents is the experience and values learned while doing the activity. 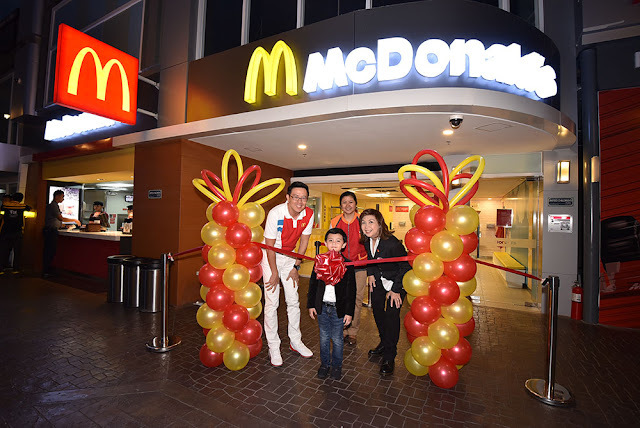 Together with KidZania, our hope is for kids to learn and appreciate the importance of hard work and responsibility, at the same time building their social skills and self-confidence,”said McDonald’s Philippines President and CEO Kenneth S. Yang. Kids will be welcomed and briefed once inside. They will be asked to wash their hands and wear specially made McDonald’s aprons just like actual crew members inside a McDonald’s kitchen, and put on a hair net. Did you know you that there should be 5 dots of ketchup and mustard in the burger? After topping the beef patty with cheese, time to put the top bun and starting wrapping. This was the most challenging for the kids, kasi may technique sa pag-wrap. Success! Happy kids in a row with their own McDonald's Cheeseburgers. My kids ate theirs as soon as they got out! =) Thanks again, McDo for this awesome treat! The kids had an amazing time! 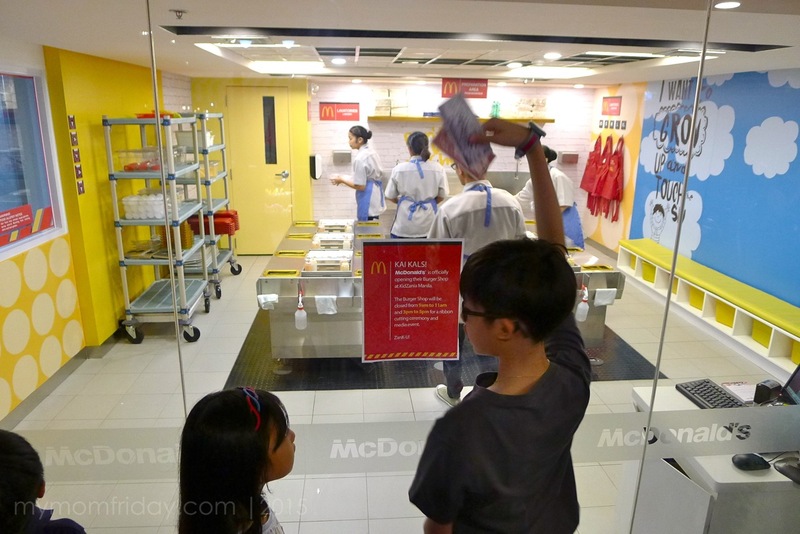 The following week after this visit, we went back to KidZania and judging from the long line, the McDonald's Burger Shop is fast becoming one of the most popular attractions among the kids. Go and visit KidZania with the whole family and be sure to bring the kids to the McDonald’s Burger Shop to have them experience making their own tasty Cheeseburgers! 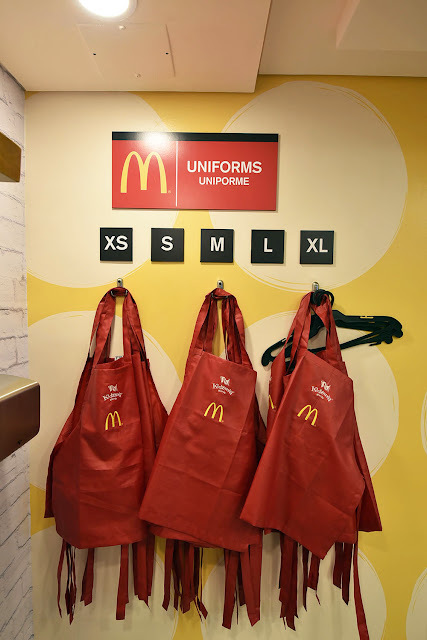 =) Take lots of photos and feel free to share your pictures with McDo too, on FB, Twitter and IG, and tag #McDoatKidZania. You can also fill your tummies before and after your tour at the newly opened McDonald’s Park Triangle branch conveniently located at the ground floor just beside KidZania. 9am-4pm from Mondays to Thursdays; 9am-2pm and 3pm-8pm on Fridays to Sundays. 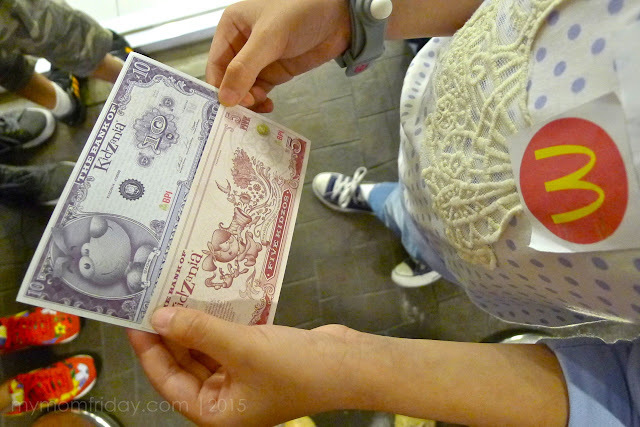 For more information, visit http://manila.kidzania.com. The girl and the boy taking a burger break after visiting McDonald's Burger Shop. 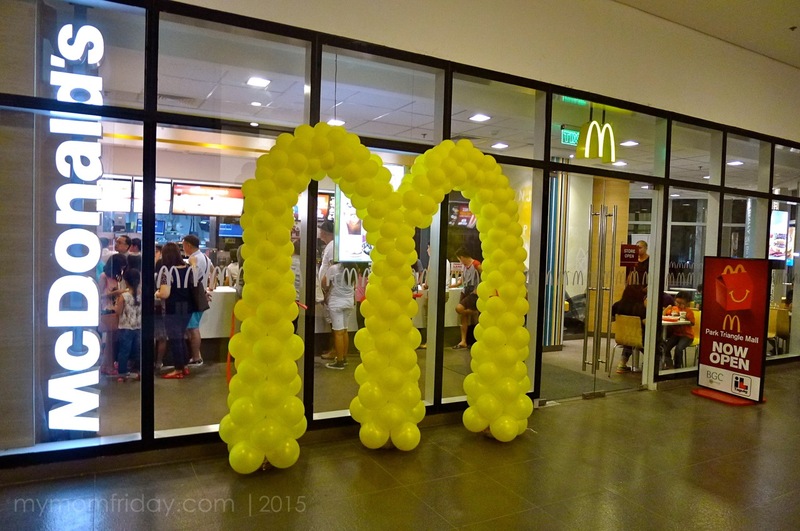 Note: Top photo and group photo courtesy of McDonald's Philippines.